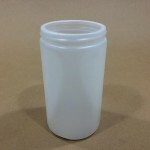 We have several wide mouth plastic jars for sale in sizes from 8 ounces to 1 gallon. 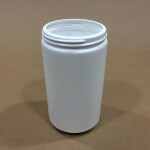 Our 1 gallon wide mouth jars are available in a bulk pack of 48 or a 4 pack reshipper box. 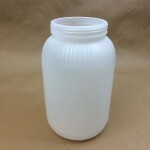 The 110mm opening on the gallon jar is approximately 4.33 inches. 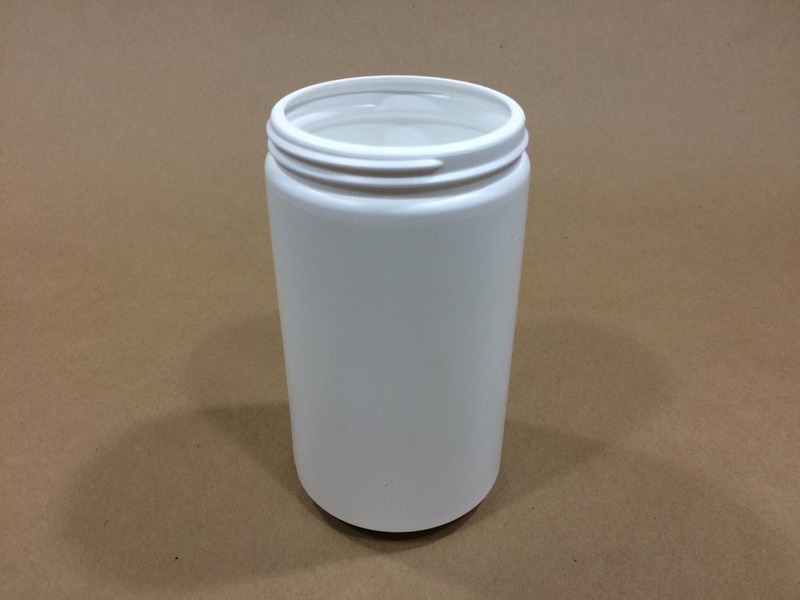 Wide mouth jars are commonly used in the restaurant industry to package tomato sauce, barbecue sauce, pickles, condiments etc. 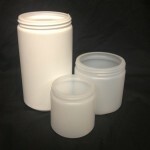 They may also be used to store janitorial supplies and pharmaceutical products. 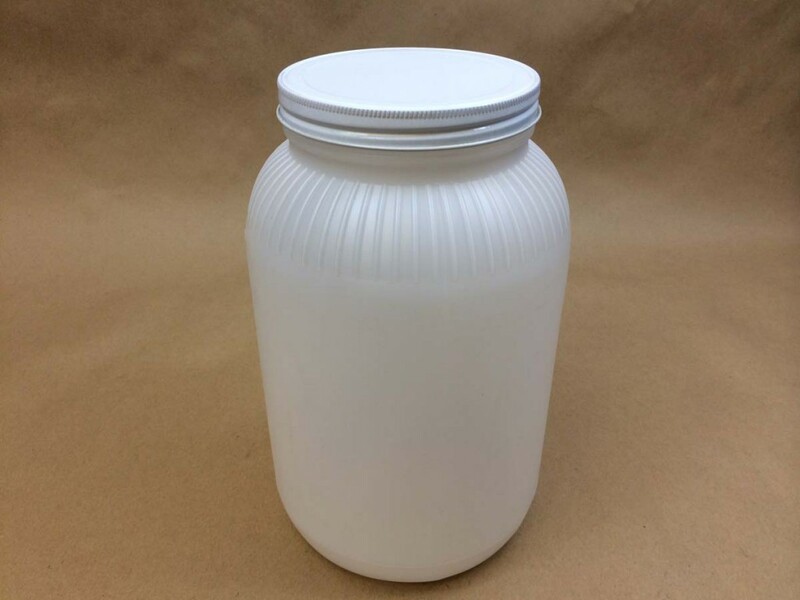 Their wide openings make these jars easy to fill and to empty. 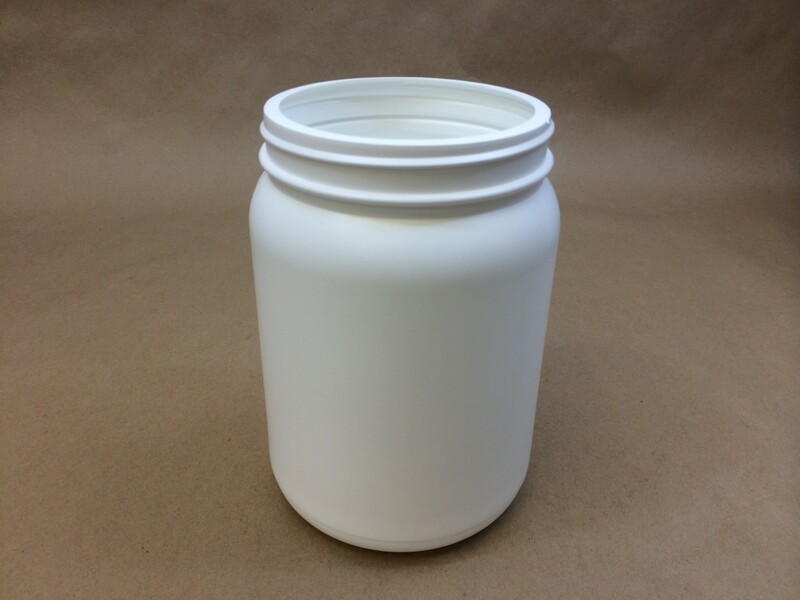 Made from high density polyethylene, these jars are food grade, sturdy and impact resistant. 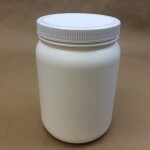 Let us send you a sample for testing with your product. 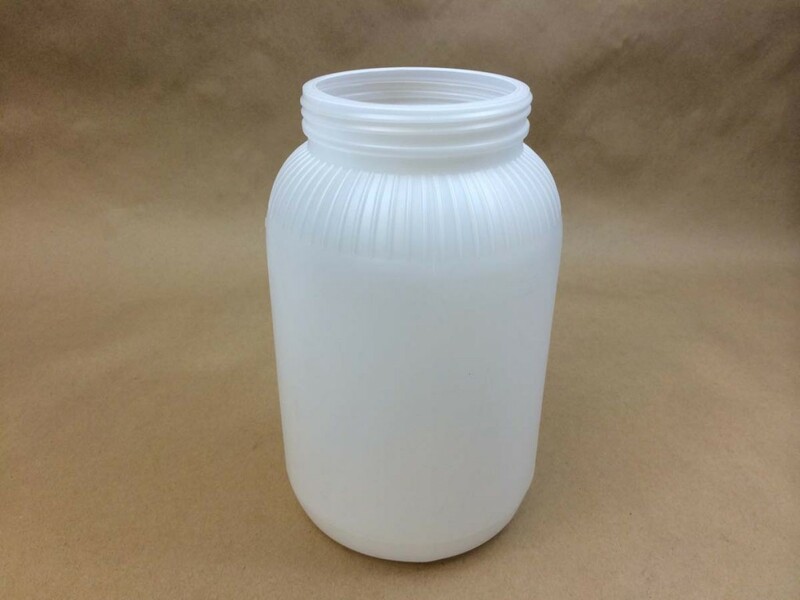 Common uses include: packaging food products, packaging dry products, storing personal care/cosmetics, packaging industrial and household chemicals. storing janitorial supplies and packaging pharmaceutical products. 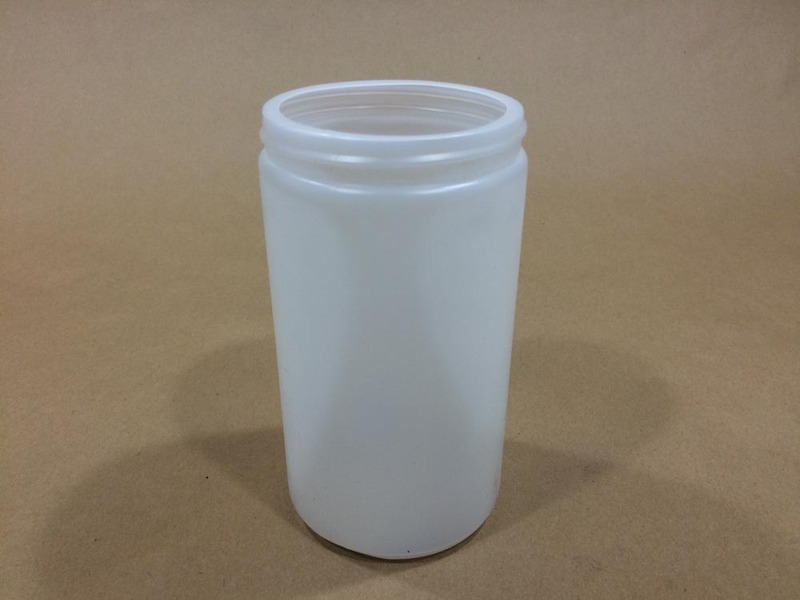 Common uses include: packaging food products, packaging dry products, storing personal care/cosmetics, packaging industrial and household chemicals, storing janitorial supplies and packaging pharmaceutical products. 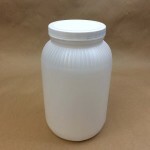 This jar has an overflow volume of 1930 ml +/- 24ml.